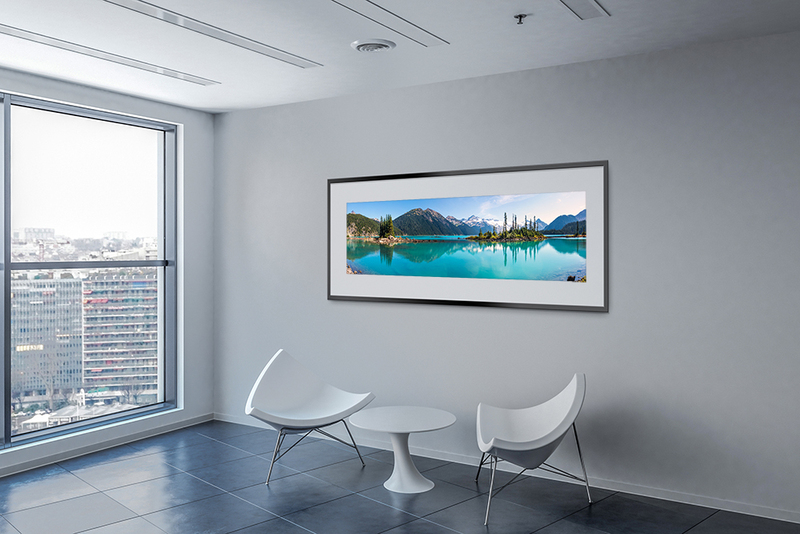 There are so many ways to decorate your home or office space with pictures! Here are a few examples to get the ideas flowing. Hanging a photo because it looks pretty is one thing, but choosing a specific photo to match the color palette in a room can make a huge difference. 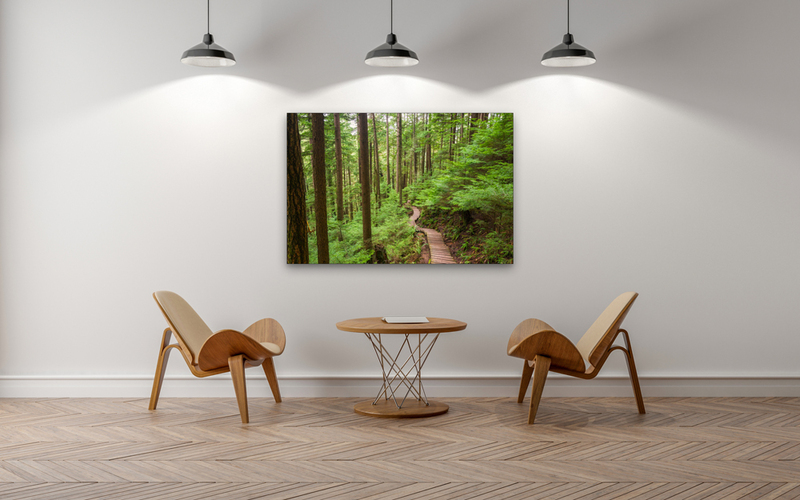 This photo of the Baden Powell Trail in North Vancouver, BC has some wonderful earth tones that go well with the atmosphere and decor of the room. 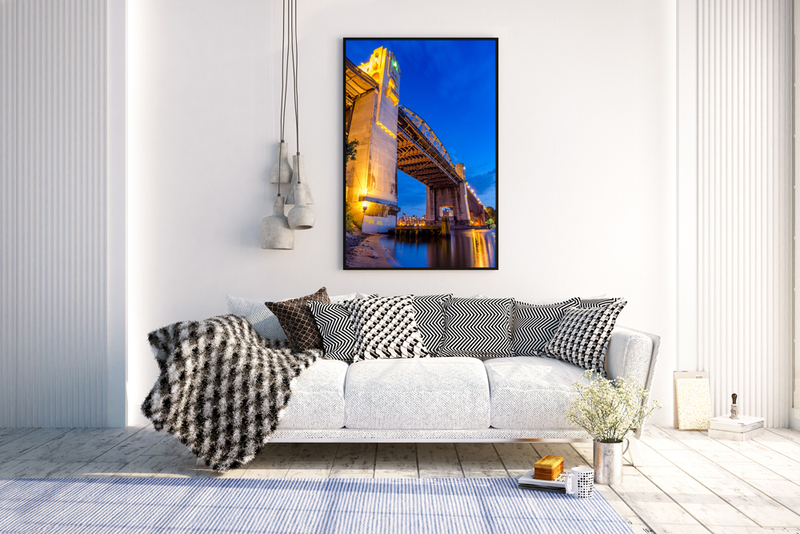 The blue and gold on this night photo of the Burrard Street Bridge in Vancouver, BC are very vibrant on a white wall. Vibrant images like this are best displayed in a well lit room. Note how the gold on the bridge matches the small box on the ground. This panoramic photo of Garibaldi Lake in Squamish, BC has a calming cool color palette. A perfect addition to a waiting room or an office with natural light. 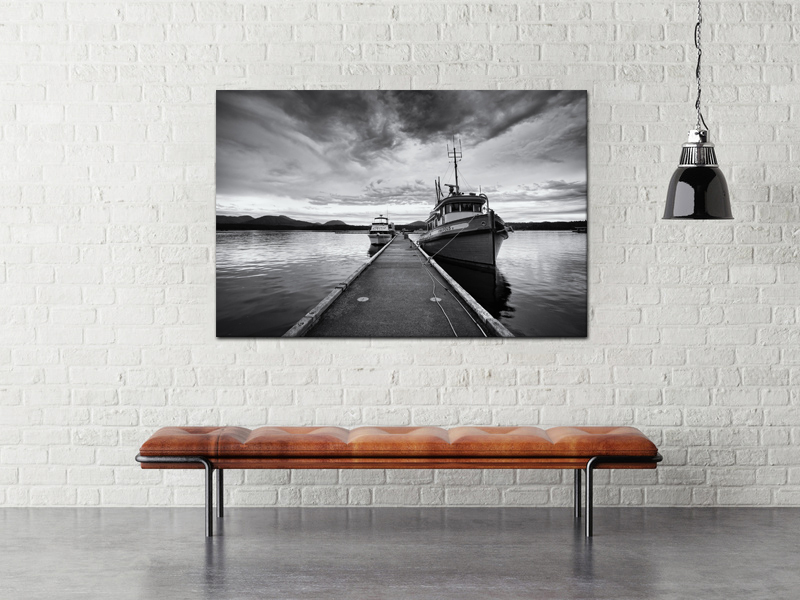 Sometimes vibrant images don't work well for a room and it's better to hang a Black and White photograph in order to keep a room looking and feeling more natural with muted black and white tones.